I’ve talked about Doug Axe before when I described how to calculate the odds of getting functional proteins by chance. BONDING: You need 99 peptide bonds between the 100 amino acids. The odds of getting a peptide bond is 50%. The probability of building a chain of one hundred amino acids in which all linkages involve peptide bonds is roughly (1/2)^99 or 1 chance in 10^30. CHIRALITY: You need 100 left-handed amino acids. The odds of getting a left-handed amino acid is 50%. The probability of attaining at random only L–amino acids in a hypothetical peptide chain one hundred amino acids long is (1/2)^100 or again roughly 1 chance in 10^30. SEQUENCE: You need to choose the correct amino acid for each of the 100 links. The odds of getting the right one are 1 in 20. Even if you allow for some variation, the odds of getting a functional sequence is (1/20)^100 or 1 in 10^65. The final probability of getting a functional protein composed of 100 amino acids is 1 in 10^125. Even if you fill the universe with pre-biotic soup, and react amino acids at Planck time (very fast!) for 14 billion years, you are probably not going to get even 1 such protein. And you need at least 100 of them for minimal life functions, plus DNA and RNA. The problem of forming DNA by sequencing nucleotides faces similar difficulties. And remember, mutation and selection cannot explain the origin of the first sequence, because mutation and selection require replication, which does not exist until that first living cell is already in place. But you can’t show that to your friends, you need to send them a video. And I have a video! Here’s a clip from Illustra Media’s new ID DVD “Darwin’s Dilemma”, which features Doug Axe and Stephen Meyer (both with Ph.Ds from Cambridge University). 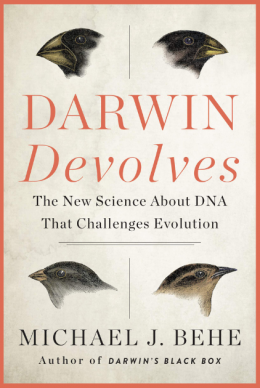 I hope you all read Brian Auten’s review of Darwin’s Dilemma! It was awesome. Illustra also made two other great DVDs on intelligent design. The first two DVDs “Unlocking the Mystery of Life” and “The Privileged Planet” are must-buys, but you can watch them on youtube if you want, for free. I also recommend Coldwater Media’s “Icons of Evolution”. All three of these are on sale from Amazon.com. Does the Cambrian explosion disprove Darwinian evolution? Here’s a new paper published in the prestigious peer-reviewed science journal Nature, entitled “The oxidation state of Hadean magmas and implications for early Earth’s atmosphere”. Evolution News explains what the paper is about. A recent Nature publication reports a new technique for measuring the oxygen levels in Earth’s atmosphere some 4.4 billion years ago. The authors found that by studying cerium oxidation states in zircon, a compound formed from volcanic magma, they could ascertain the oxidation levels in the early earth. Their findings suggest that the early Earth’s oxygen levels were very close to current levels. […]Miller and Urey conducted experiments to show that under certain atmospheric conditions and with the right kind of electrical charge, several amino acids could form from inorganic compounds such as methane, ammonia, and water. Several experiments have been done using various inorganic starting materials, all yielding a few amino acids; however, one key aspect of all of these experiments was the lack of oxygen. If the atmosphere has oxygen (or other oxidants) in it, then it is an oxidizing atmosphere. If the atmosphere lacks oxygen, then it is either inert or a reducing atmosphere. Think of a metal that has been left outside, maybe a piece of iron. That metal will eventually rust. Rusting is the result of the metal being oxidized. With organic reactions, such as the ones that produce amino acids, it is very important that no oxygen be present, or it will quench the reaction. Scientists, therefore, concluded that the early Earth must have been a reducing environment when life first formed (or the building blocks of life first formed) because that was the best environment for producing amino acids. The atmosphere eventually accumulated oxygen, but life did not form in an oxidative environment. The problem with this hypothesis is that it is based on the assumption that organic life must have formed from inorganic materials. That is why the early Earth must have been a reducing atmosphere. Research has been accumulating for more than thirty years, however, suggesting that the early Earth likely did have oxygen present. […]This brings us back to that Nature letter, which offers another reason to question the reducing environment of the early Earth. The authors looked at the cerium oxidation levels within zircon. Zircon is a hard rock that forms from the solidification of magma. Several studies have been done with zircon because of its age and durability. (See here for a report on using zircon to determine when oceans and land were present on Earth.) Cerium (Ce) is an element that can be found in early Earth zircon. The ratio of cerium’s +3 and +4 oxidation states indicates the environmental conditions at the time the cerium was trapped in the zircon. Specifically, cerium’s oxidation ratio is related to the amount of oxygen in the atmosphere. The authors created cerium-infused zircon in the lab at various oxidative ratios to make a calibration curve to which they could then compare the early Earth samples. Their findings not only showed that oxygen was present in the early Earth atmosphere, something that has been shown in other studies, but that oxygen was present as early as 4.4 billion years ago. This takes the window of time available for life to have begun, by an origin-of-life scenario like the RNA-first world, and reduces it to an incredibly short amount of time. Several factors need to coincide in order for nucleotides or amino acids to form from purely naturalistic circumstances (chance and chemistry). The specific conditions required already made purely naturalist origin-of-life scenarios highly unlikely. Drastically reducing the amount of time available, adding that to the other conditions needing to be fulfilled, makes the RNA world hypothesis or a Miller-Urey-like synthesis of amino acids simply impossible. So here’s where we stand. If you are a materialist, then you need a reducing environment on the early Earth in order to get organic building blocks (amino acids) from inorganic materials. However, the production of these organic building blocks (amino acids) requires that the early Earth atmosphere be oxygen-free. And the problem with this new research, which confirms previous research, is that the early Earth contained huge amounts of oxygen – the same amount of oxygen as we have today. This is lethal to naturalistic scenarios for creating the building blocks of life on the Earth’s surface. If you would like to read a helpful overview of the problems with a naturalistic scenario for the origin of life, check out this article by Casey Luskin. The “origin of life” (OOL) is best described as the chemical and physical processes that brought into existence the first self-replicating molecule. It differs from the “evolution of life” because Darwinian evolution employs mutation and natural selection to change organisms, which requires reproduction. Since there was no reproduction before the first life, no “mutation – selection” mechanism was operating to build complexity. Hence, OOL theories cannot rely upon natural selection to increase complexity and must create the first life using only the laws of chemistry and physics. The article goes over the standard problems with naturalistic scenarios of the origin of life: wrong atmosphere, harmful UV radiation, interfering cross-reactions, molecular oxygen, meteorite impacts, chirality, etc. Here’s a helpful little video on the problem from origin of life chemist Charles Thaxton, who authored “The Mystery of Life’s Origin” with Walter Bradley and Roger Olsen. If you are looking for a hot issue to put some time into, then this is a good place to start. And note that this problem of the building blocks of life is logically prior to the problem of forming functional sequences of amino acids (e.g. – proteins), which people like Stephen C. Meyer debate about. In debates on the origin of life, ID people usually just assume that the amino acids exist, and then get on with discussing the problem of generating sequences of amino acids and base pairs into sequences that exhibit specified complexity. But as you see from the research, it’s an unwarranted assumption – those building blocks are not a given, and the naturalist has to account for them. Can naturalism account for the origin of the 20 amino acids in living systems? Normally, I concede the first problem and grant the atheist all the building blocks he needs. This is because step 2 is impossible. There is no way, on atheism, to form the sequences of amino acids that will fold up into proteins, and then to form the sequences of proteins that can be used to form everything else in the cell, including the DNA itself. But that’s tomorrow’s topic. Today, let’s take a look at the problems with step 1. Now you may have heard that some scientists managed to spark some gasses to generate most of the 20 amino acids found in living systems. These experiments are called the “Miller-Urey” experiments. The IDEA center has a nice summary of origin-of-life research that explains a few of the main problems with step 1. Not only would UV radiation destroy any molecules that were made, but their own short lifespans would also greatly limit their numbers. For example, at 100ºC (boiling point of water), the half lives of the nucleic acids Adenine and Guanine are 1 year, uracil is 12 years, and cytozine is 19 days20 (nucleic acids and other important proteins such as chlorophyll and hemoglobin have never been synthesized in origin-of-life type experiments19). At best the processes would likely create a dilute “thin soup,”24 destroyed by meteorite impacts every 10 million years.20, 25 This severely limits the time available to create pre-biotic chemicals and allow for the OOL. Chemically speaking, life uses only “left-handed” (“L”) amino acids and “right-handed” (“R)” genetic molecules. This is called “chirality,” and any account of the origin of life must somehow explain the origin of chirality. Nearly all chemical reactions produce “racemic” mixtures–mixtures with products that are 50% L and 50% R.
Two more problems are not mentioned in the article. A non-peptide bond anywhere in the chain will ruin the chain. You need around 200 amino acids to make a protein. If any of the bonds is not a peptide bond, the chain will not work in a living system. Additionally, the article does not mention the need for the experimenter to intervene in order to prevent interfering cross-reactions that would prevent the amino acids from forming. Usually when you hear the origin of life debated, they sort of skirt about the problem of where the amino acids come from, but there is no reason not to make that an issue. The naturalist has to explain how the first living cell could come about naturalistically. One of my favorite resources on the origin of life is this interview from the University of California with former atheist and origin of life researcher Dean Kenyon. Kenyon, a professor of Biology at San Francisco State University, wrote the textbook on “chemical evolution”, which is the view that chemicals can arrange themselves in order to create the first living cell, without intervention. This interview from the University of California with another origin of life researcher, Charles Thaxton, is also one of my favorites. You’ll need Quicktime to see the videos, or buy the videos from ARN. (Kenyon, Thaxton) I have both of them – they rock! When I was a younger man, just starting full-time work with a hot Internet start-up in the big city, my biggest interest was in the origin of life. I liked to listen to debates about it (e.g. – Walter Bradley versus Robert Shapiro, etc.) and lectures and interviews. Two of my favorite interviews are from the University of California series on Origins, featuring Charles Thaxton and Dean Kenyon. I found the one with Charles Thaxton in miniature form on Youtube. Charles Thaxton received his Ph.D. in physical chemistry from Iowa State University. He completed two post-doctoral programs, one in history of science at Harvard University and the second in the molecular biology laboratories of Brandeis University. He has specialized in the origin of life and in science’s relationship with Christianity through history. He is co-author of The Mystery of Life’s Origin and also The Soul of Science. He is Academic Editor of the high school biology book Of Pandas and People. He has contributed significant chapters to the books God and Culture and The Creation Hypothesis. He has published technical articles in Journal of Inorganic Chemistry, Journal of Scientific Instruments, and Journal of Cell Biology. He has lectured widely in American universities including Princeton University, Yale University, University of Michigan, University of Delaware, Rice University, Texas Universtiy, Johns Hopkins University, Vanderbilt University, and Harvard Law School. He has lectured outside the country at the Korean Advanced Institute of Science, the Russian Academy of Science, and in various universities in Mongolia, Romania, Poland, Hungary, and the former Czechoslovakia. He has held appointments at Slovak Technical University in Bratislava, Czechoslovakia, the Biomathematical Institute in Craiova, Romania, and at Charles University in Prague, where he was a Templeton scholar in the department of natural sciences. He is a member of American Chemical Society, American Association for the Advancement of Science, and Fellow of American Institute of Chemistry, American Scientific Affiliation, and Discovery Institute. He and his wife Carole homeschooled two sons, both of whom are college graduates. He is a survivor of two bouts of cancer, which left him with one leg and one lung. 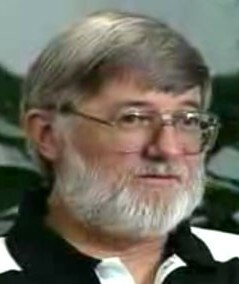 He and his wife reside near Atlanta, Georgia, where they teach homeschooled teens at Konos Academy. He also is writing two books, punctuated by speaking stints. 1. How did you first get interested in the origin of life? 2. How did you come to write The Mystery of Life’s Origin with Walter Bradley and Roger Olsen? 3. Was there an advantage to having the three of you collaborate on the project? 4. What is the primary argument of your book, The Mystery of Life’s Origin? 5. Have scientists come close to developing a plausible naturalistic explanation to the origin of life or do you still consider the origin of life to be a mystery? 6. Do you see a particular irony in the timing of Stanley Miller’s experiments and the discovery of DNA by Watson and Crick? 7. How does the emergence of modern genetics tie in with the Darwinian scenario of life going from simple to complex? 8. What are the major problems with origin of life simulation experiments? 9. Isn’t it rather impressive that amino acids were produced in the Miller experiments? 10. How close is the development of amino acids to the threshold of life? 11. What are the steps involved in producing proteins from amino acids? 12. Why are amino acids isolated during this process? 13. How can the investigator affect the outcome of a simulation experiment? 14. How did you evaluate the different chemical evolution experiments? 15. Are the initial conditions in the simulation experiments plausible? 16. What did the earth’s early atmosphere contain? 17. Will the simulation experiments work with this atmosphere? 18. There seems to be an underlying assumption that the origin of life resulted without any intelligent input whatsoever yet the simulation experiments appear to rely upon intelligent guidance. Could you comment on this irony? 19. Are there any natural processes that would have filtered out destructive ultraviolet light? 20. What additional steps beyond creating amino acids would be required to develop life? 21. What is so difficult about making proteins or nucleic acids? 22. In addition to the energy problem in protein synthesis isn’t there a sequencing problem? 23. Are DNA sequences analogous to a written language? 24. Has Hubert Yockey made similar claims? 25. In The Mystery of Life’s Origin you refer to order, randomness, and specified complexity. Could you give us an overview of these concepts? 26. What do you think the presence of specified complexity in a living system indicates about its origin? 27. In inferring the necessity of intelligence to produce life haven’t you ventured from the realm of science to religion? 28. Could you summarize the reasons why you believe intelligence was involved in the origin of life? 29. What are the major objections to your current point of view? 30. How was The Mystery of Life’s Origin received by the scientific community? 31. What was Dean Kenyon’s response to your critiques of his book, Biochemical Predestination? 32. What was Dean Kenyon’s response to The Mystery of Life’s Origin? 33. Were you a bit apprehensive about meeting Kenyon after writing a book which was quite critical of his views in Biochemical Predestination? 34. Are self-organizational theories plausible? 35. Would you comment on the work done by Prigogine and Eigen? 36. What is your assessment of RNA scenarios? 37. What other problems do you see with an RNA world? This is an argument you never hear in William Lane Craig debates, but it’s worth knowing well.